Many of Raleigh’s venerable oak trees were just adolescents when this photograph was taken. Much has changed since the early 1900’s — our oaks have matured, our population has ballooned and examples of grand residential Neo-classical architecture such as the house pictured here simply don’t exist anymore. They’ve all been razed — all but two, that is. 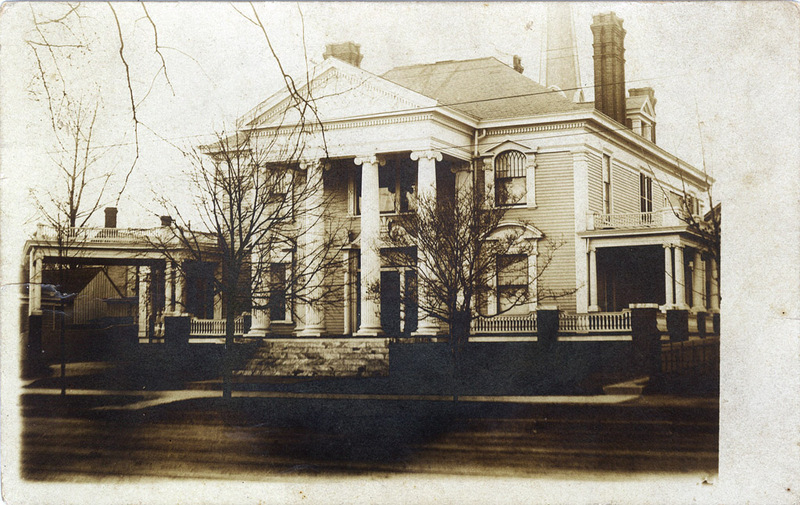 Any of our savvy readers know where this house is in Raleigh? Around 1915, when the photo above was taken, this house lay on the outer edge of Raleigh’s city limits. Now, it rests squarely within the boundaries of downtown. Save some minor changes, the exterior of the house has remained much the same since the photograph was taken. The bracket under the dormer remains an interesting feature of the home and also distinguishes it from others in the neighborhood. Any of our savvy readers care to guess where this house is? This is a tough one, but we’ll make it worth your while. 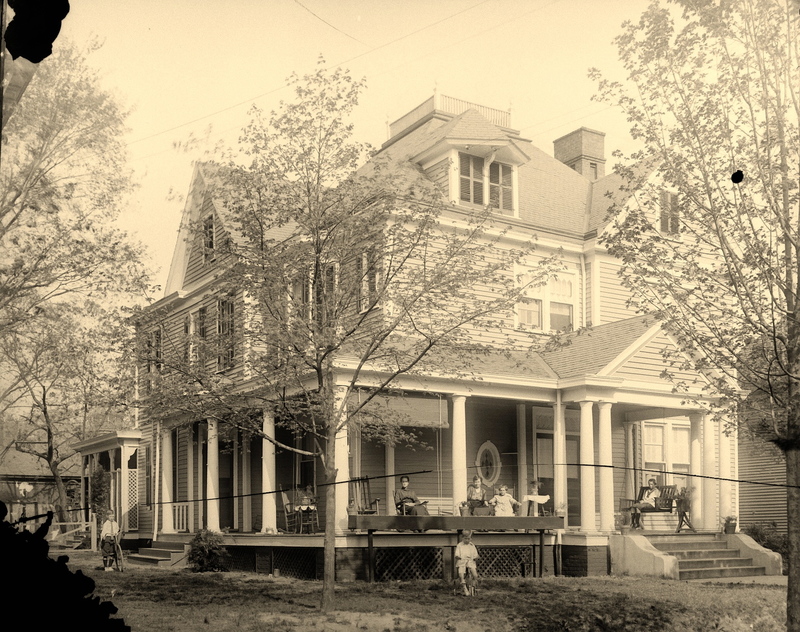 The first person to correctly identify the complete address of this house will receive an 8×10 print, hand-printed from the original glass plate negative. How’s that for some motivation? Image courtesy of/copyright NCSU Special Collections. 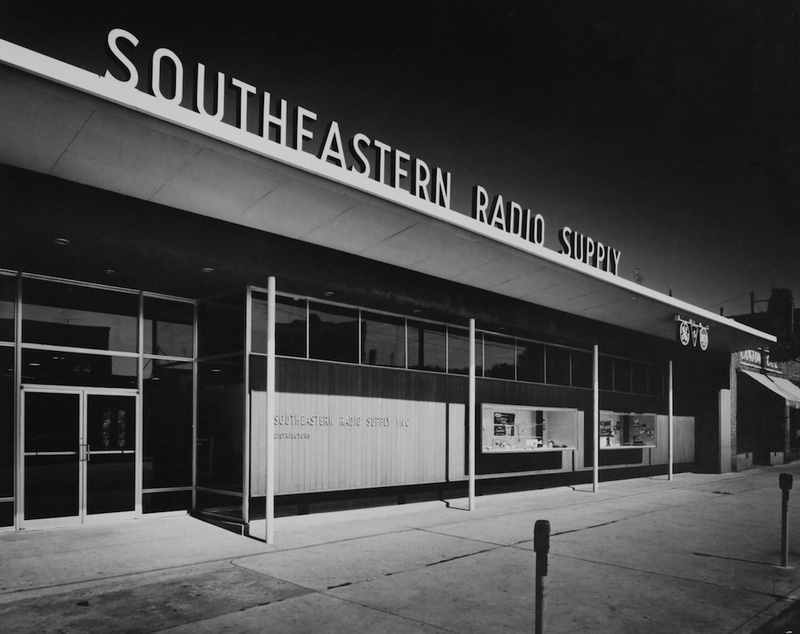 In the mid 1950s when the photo was taken, the building above was just built and the new home of Southeastern Radio Supply. If you know where this building is, then you’ve got a chance of finding a hidden package. UPDATE: Keith Ritchie found the package located in Downtown Raleigh.